LCD (liquid crystal display) screen of an iPhone is one of the unprotected and delicate parts of iPhone. In present LCD screen is used in many of the electrical gadgets such as TV, Laptop etc. LCD screen is actually built with two alter thin layers, the liquid crystal is present between this layer. When light reaches in this layer become colorized and we can see the image on the screen. Due to the built pattern and quality, this screen easily broke and damage. iPhone 7 plus originally has 5.5-inch retinal multi-touching LCD display with IPS technology. And has fingerprints register oleophobic coating. iPhone digitizer is made of glass so there is a chance of breaking. Then we have to replace this with a new screen. Aftermarket LCD is very cheap than the original. This type of digitizer assembly is made of different touch screen material like glass and film. 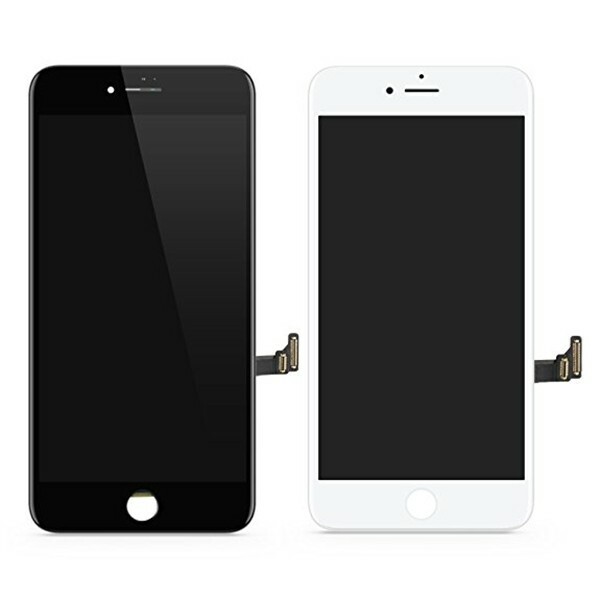 Depending on there are many kinds of screen available like LT, TM, OEM, JDF LCD screen for iPhone. iPhone OEM manufacturer used in cell technology while the other aftermarket or 3rd party manufacturers are followed other fruitful process to reduce to cost. TM manufacturer uses G + F structure, in this process make the sensor parts on the film layer then gather the film part with the glass lens to construct the digital screen. LT manufacturer adopts OGS technology. Here sensor parts are inserted on the glass lens and the glass lens is so thin that we can find dots and texture beneath the glass lens. This type of LCD screen is very thin if the screen is broken then it can’t repair, it needs to replace. JDF manufacturer use G + G structure. In this structure, the touch sensor is placed on a glass lens. JDF LCD screen is thicker. When this screen breaks then the digitizer work as usual. Also, this screen helps to pass light so the display looks brighter. And this G + G LCD is used for iPhone 7plus. To carefully follow some step you can replace broken or cracked screen on iPhone 7plus. Front facing camera, earpieces speaker, LCD shield plate and the home bottom needs to transfer from the old phone to new display. iPhone 7plus LCD shield plate sticker. iPhone 7 plus display assembly adhesive. This replacement process will take 1-2 hours.